A director on the NineSquared team, Ken specialises in public policy, economics, regulation and project assessment. He has extensive experience in the reform and performance assessment of government businesses and agencies, including departments and government owned corporations. He has analysed and advised on issues across many sectors, with recent prominence in the water sector. He holds a Bachelor of Economics from the University of Queensland. 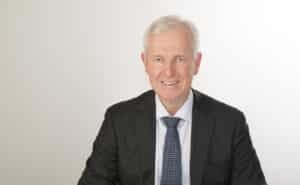 Prior to joining NineSquared in mid 2017, Ken held executive leadership positions in the Queensland Government, most recently as Deputy Director General of the Department of Energy and Water Supply and prior to that as Assistant Under Treasurer in Queensland Treasury. In these roles he provided strategic advice to Treasurers and Ministers across an extensive range of areas of public policy, ranging from structural reform options, evaluation and implementation, regulated pricing, organisation performance monitoring, risk management and project evaluation. Earlier Ken worked as both a project manager and economist at the Queensland Treasury, where he led and project managed large structural reforms in the State and Local Government sectors, including corporatising and incorporating government businesses, reforming pricing and implementing National Competition Policy reforms.